Elite offers the following Kohler Power Boost generator models. Select the View More Information link next to the system you are interested in learning more about. If you have questions about which system would work best for your needs, contact us or call 703-339-2800. * Additional charges may apply. Final cost to be determined by location of generator, automatic transfer switch, fuel source, and any options selected. Assumes unit to be within 10′ of gas and electric utility services. Excludes all utility upgrade charges. This unit is a spec to order unit and there are no “package” prices to offer as all projects must be addressed on an individual basis. The unit can be configured in a variety of ways to fit your needs. Installation is custom and all parameters must be identified to provide a total price. However, the purchase price of the unit starts at $23,999.00. Must have appropriate concrete base for placement. Five year/3000 hour parts and labor warranty. This unit is a spec to order unit and there are no “package” prices to offer as all projects must be addressed on an individual basis. The unit can be configured in a variety of ways to fit your needs. Installation is custom and all parameters must be identified to provide a total price. However, the purchase price of the unit starts at $25,299.00. Must have appropriate concrete base for placement. Five year/3000 hour parts and labor warranty. This unit is a spec to order unit and there are no “package” prices to offer as all projects must be addressed on an individual basis. The unit can be configured in a variety of ways to fit your needs. Installation is custom and all parameters must be identified to provide a total price. However, the purchase price of the unit starts at $30,799.00. Must have appropriate concrete base for placement. Five year/3000 hour parts and labor warranty. This unit is a spec to order unit and there are no “package” prices to offer as all projects must be addressed on an individual basis. The unit can be configured in a variety of ways to fit your needs. Installation is custom and all parameters must be identified to provide a total price. However, the purchase price of the unit starts at $38,299.00. Must have appropriate concrete base for placement. Five year/3000 hour parts and labor warranty. 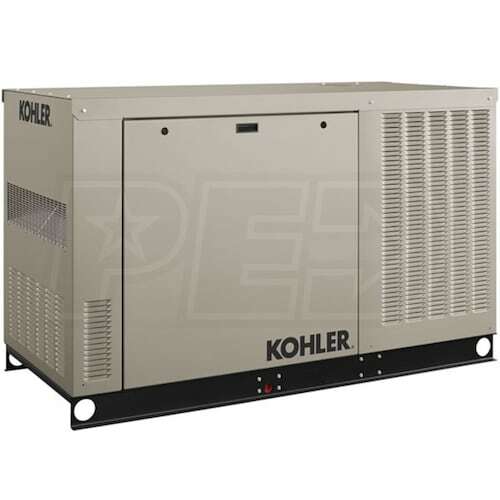 Elite Power Systems offers the following KOHLER Power System generator options. Select the View More Information link next to the system you are interested in to download a PDF with technical information. If you have questions about any of these options, contact us or call us at 703-339-2800 or 866-406-2222.